Just after Holy Week when Catholics the world over recall the indescribable sufferings with which the Savior redeemed mankind, Catholics, who hold absolute majority in Portugal, saw the final approval of an abortion law. Indeed, after an inexpressive plebiscite and intense action by leftist parties in the country’s National Assembly, a projected bill authorizing abortion was passed. However, it still needed to be promulgated by the nation’s president, who has the constitutional power to veto the law. We said as expected because, after the approval of the pro-abortion law by the Assembly, the country’s bishops failed to ask the President to veto it. Yet, no public appeal was made. For example, José da Cruz Cardinal Policarpo, Patriarch of Lisbon, in an interview to the magazine Visão on February 28 made it clear that he would not appeal to the president. 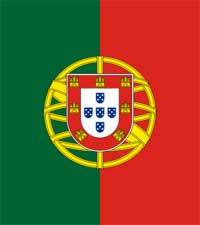 Catholic laymen have maintained a different attitude and fought valiantly to prevent the installation of abortion in Portugal. On March 28, the campaign director of Acção Família [Family Action] in Coimbra, Mr. José Carlos Sepúlveda da Fonseca, addressed a letter to President Cavaco Silva urging him not to promulgate the said law. It is not by using “extreme moderation” in the defense of good that one protects the good. One also cannot win by employing a tactic of concessions to appease radicals in their advocacy of evil. Good attracts, convinces and draws when it is presented in all its integrity and beauty and when its defenders act gallantly, fearlessly and proudly to defend the just cause of the truth known as such. Despite the debate Portuguese Catholics should continue in their struggle against abortion, confiding in the protection and promise of Our Lady of Fatima who said: “Finally, my Immaculate Heart will triumph! Filipe Luís e Manuel Vilas-Boas, Um cardeal no seu labirinto, VISÃO, nº 730, Feb. 28, 2007, http://visaoonline.clix.pt/default.asp?CpContentId=332921. Observações de Cavaco Silva «de nada servem», http://www.agencia.ecclesia.pt/imprimir.asp?noticiaid=44892.